I'm new to this group so I thought I'd start off with a question. Normally, I use some form of afeitzim based dyo for daily writing, either homemade, Nahari, or Hadar depending on the task, the amount of gloss desired, and so on. 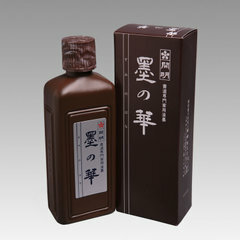 I recently came across bottled Japanese sumi ink. After some digging, I learned that it's made from vegetable oil soot, water, a synthetic binder and borneo camphor, some brands contain shellac to make it waterproof, but apparently no products directly derived from animals. 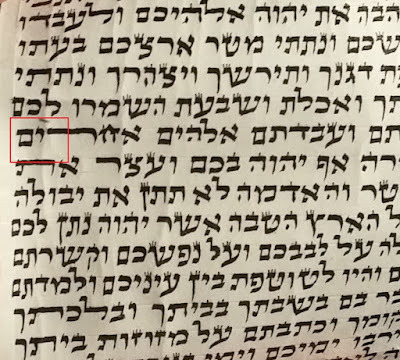 As one who spends a lot of time restoring old faded sifrei Torah, I've developed a keen interest in finding, a permanent, archival black ink, that won't fade, or crack over time. I know many of us use rapidograph ink, but that doesn't seem to come in a bottle. Would sumi ink be kosher for STAM? I've made some preliminary experiments on klaf and find that it has many of the same properties as regular sofer's ink. It's intensely black, dries slightly raised, and when used full strength is glossy. according to the hallacha there are no true requirements in dyo, other than 2. 2. it must be a permanent ink, that doesn't fade or change color easily or quickly. Although it is custom to makpid that it not be from non-kosher animals, because of the law מן המותר בפיך, this is a hidur only. The law of "mutar bficha" doesn't in truth apply to the ink, only the other parts of sta"m.
So there should be no problem! if what you stated is correct. The Mishnat HaSofer states under 3.1 (look under Dio), that dio that is found in the "shuk" or market, which is not made intentionally for STAM should not be used for 5 reasons. My opinion is that it is problematic on a different level as well. We cannot as a community trust Dio not made for these purposes because we need to keep our minhagim so that in the future we dont come across a situation where we no longer know how to make kosher Dio. It is hard to say this can happen today in the information area, but we also cannot rely on this. As to point 4. I don't think the dyo in general use now conforms to the recipe given by the Rambam, see hilchos tefillin 1.4, where he says that dyo should be made from ashan, gummi a little davash and mei afeitzim. He says this is the best for STAM, but then says it's kosher if one wrote with ink containing kankatum. As to point 5. 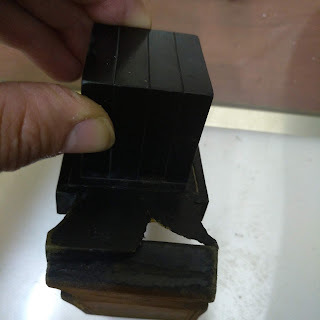 Many of the Japanese ink companies have been around for four or five hundred years and have excellent reputations for producing permanent ink. What is your opinion about rapidograph ink where it's not made by Jews and to my knowledge isn't made lishmah or under rabbinical supervision? As to our minhagim. 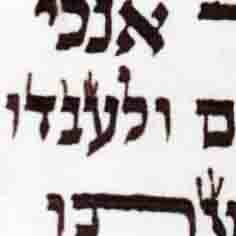 It seems that the original custom was to write with dyo ashan, but then later the recipe was forgotten and a heter was given to write with dyo made from afeitzim and kankatum. We all know from experience that the ink we use now will break down in 20 to 50 years, so it's maybe not such a good thing to be using. What you said about the Japanese ink companies is very interesting. Perhaps we could learn from them. Maybe the key is to learn something from what they are doing in order to find our ink again. About the radiograph inks, and about inks in general, we should make Heter only when we absolutely need to. It is a pity that we have gotten to the circumstances where we don't know how to make ink anymore in the original way. I think that this probably happened because we started using a different ink and lost the original recipe. Shows the importance of Torah Shel Baal Pe. Do you have any information about how they make their inks? I have very little information about how they make the liquid sumi ink, just what I can gather from labels on bottles really. I know that the bottled form tries to imitate the traditional inkstick as closely as possible. The inkstick is considered by most to be the best, most responsive, most beautiful ink in the world. It is produced in almost the exact same method as the Rambam describes in Hilchos Tefillin. 1. Soot is gathered from burning oils(tung, linseed,sesame, rapeseed, etc.) 10 parts soot. 2. Glue made from the antlers of young deer,or cowhide, is soaked over night, then broken up finely and melted. 5 parts glue. 3. The hot glue is poured over the soot. The heat apparently makes wetting the soot possible. It is mixed to form a firm dough, and pounded with a hammer upwards of 10,000 times. The more the better I'm told. 4. Various fragrances are mixed in to cover the smell of the soot, such as camphor, cloves, musk and so on. The Rambam describes using the sap of the balsam tree which is also extremely fragrant. 6. It is separated into small balls weighing 20-50 grams each and pressed into a wooden mold. The dough is shaped usually into the form of small rectangular bricks. 7. These bricks are then steamed. 8. The sticks are buried in wood ash which is changed every day until they are hard. Then they are braided in straw rope and hung to finish drying completely. 9. The inksticks are aged a minimum of 3 years before use, the older the stick the better the ink it produces. When needed for use, one grinds the stick on a slab of smooth slate and writes with it. The Hu Kai Wen inkstick factory in China has been making ink continuously for the past 1,000 years. If you are lucky enough to get your hands on one of their top grade inksticks you'd never want to use anything else again. It's like writing with black silk, smooth, lustrous and fragrant. I suspect much like the ink available in the time of the Rambam. points 1-4 mentioned are lechatchila as you quoted. point 5 I explicitly wrote, so Benyamin must check if this ink stands by the standard of דיו עומד which means permanently stay, IE doesnt fade or change color, it is kosher. If he wants to be machmir since there isnt a hecsher that it had been made specificly for stam, or according to the minhag, that is his privilage. how about bnei yona -it needs a consistancy and not get soaked in fully to the klaf. by the way shellac mutar beficha?????????????????????? Horav Moshe Feinstein, zt'l explains in Igros Moshe Y.D. II 24 that shellac is Kosher. Rav Moshe zt'l discusses several reasons for this conclusion - most important the analogy between shellac -a secretion from a non-Kosher insect, and honey - a secretion from a non-Kosher insect. Honey is obviously Kosher and so is shellac. Zvi, thank you for the articles, I read them carefully. This is an important issue because shellac is sprayed on most types of fresh fruit, used on candies and in medicinal tablets. 2. How long has dyo lenetzach been in use? Do we know how it reacts to aging, changes in humidity, heat, cold? Could you tell me what the binding agent in the ink is? 3. Thank you for the research on the commercial rapidograph ink, that's valuable information. 1. The large hechsher organizations started following the ruling that shellac is kosher, before the mistake in the hechsher was discovered. With all due respect to them, they will not change their mind if it means loss of business for them. Another sad example is the decision to "kosherize" fish with worms in them, even though such worms are absolutely treif. It takes extreme ignorance to believe in our days that worms in fish were spontaneously generated inside the fish. But, when money is involved, the business decisions dominate. "Dio Lanetzach (diolanetzach.com) is the only ink today which is kosher LeChatchila"
As much as I appreciate your work and ink, this statement is misleading and not accurate. The regular inks used today are ok lekatchila too. The Rambam permits it lekatchila (says so in a teshuva mefurash) and we have been somech on his opinion for many centuries now - Ashkenazim, Sephardim and Teimanim. Chabad sofrim might have a bigger problem with it because of what the shulchan aruch harav said, as you quoted, but for the general public it's fine. I raised the same question in post about ink last month..! But i would add that it's a Tloso deSatrei since we place the parshiot on the tefillin of rabbeinu tam standing, like Rashi's opinion, and according to R. tam himself who holds that it should be placed horizontally. i've seen last shabbos that Rav Ovadia Yosef in Yalkut Yosef raises this question too, ser there for his attempts to answer. Where does the Rambam use the word LeChatchila? It's well known that at least for the Ashkenazi sofrim, the Keset Hasofer is the last word for Inyanei Stam. Don't get me wrong - I like your work a lot and might even use your ink for my own Sefer Torah since it is more Mehudar. But that doesn't mean all Sifrei Kodesh written in the past centuries are bedieved! Thanks for the source. As far as I see it, Kesset HaSofer repeats the words of the Rambam "ואם כתב שלשתן במי עפצא וקנקנתום שהוא עומד ואינו נמחק כשרים" which are a hechsher BeDiavad (as explained by the Tosfot "כשר משמע דיעבד" ). Then, repeats "וכן נוהגים עכשיו אפילו לכתחילה" which comes from שו"ע הרב describing the current status because of the lack of the better/preferred ink. As far a I know, a description of a "current status" because of the lack of something better is NOT a Hechsher LeChatchila. That's debatable and far from being a consensus today. In fact, the haskamos you got testify that your ink is kosher and that it's a great hiddur but they do not disqualify other inks as being kosher only bedieved. The day you get the gedolim to say that this discussion will end. Until then, i think it's prudent not to jump to your own conclusions and claim that only your ink is kosher lekatchila. I would focus in it being a very valid hiddur. I have been following this discussion and I must admit I feel as frustrated as YK. Zvi seems to have made a very good and valid argument.Are the Gedolim quiet since they have an unknown reason or it was not presented to them properly? Perhaps they are afraid of something new. Zvi's work is invaluable and a potential game changer but as good as his Dio is, the Gedolim will never say that the other inks are only kosher bedieved. The reason is because we have been using the vitriol ink for a few centuries now and you need a lot of courage and credit in order to force all sofrim to write with one specific ink, i.e. dio lanetzach. If look in the big picture, Safrus is contstantly changing and adapting to the conditions "in the field" and i'm afraid that once we have permitted the use of vitriol lekatchila you cannot tick back the clock, since you dont have someone capable of doing that today. If we could tick the clock back, people would reinstate the old peh (they've tried), write on gvil as Moshe Rabbeinu and Rambam did and only use reed kulmusim. I dont think that will happen and we, sofrim around the world, should have the knowledge and understand what at stake but at the same time comply with today's standards as the are defined by the gedolim. Harav Avraham Zvi Wosner Shlita, the greatest authority on STAM outside of Eretz Israel, reviewed this page before it was published. לכתחילה, בדיעבד, פסול at the top of the page. This is not a Haskama, this is an advertisement and nowhere did R' Vozner signed his name. If R' Vozner holds that all vitriol inks today are kosher only bedieved I'm sure you can get a letter from him stating that. Some sumi inks may also contain animal glue.